DigitalPersona has announced that it, in conjunction with their partners Nigeria-based IT integrators Zinox, Haier Electrical Appliances and Avante International Technology, have successfully deployed 132,000 fingerprint readers to Nigeria for use in its One Citizen, One Vote program. 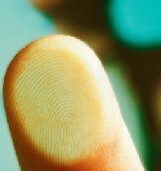 In the wake of multiple questionable election outcomes and voting irregularities in the country, DigitalPersona’s U.are.U fingerprint readers are to be used for registering voters and subsequently ensuring that voter fraud is not occurring as new elections take place comparing registered biometric data with that of the voter. In addition to providing the three integrators with their fingerprint readers, they also provided the source code for their software enabling quicker turnover from receiving the devices to fully integrating them into the registration kiosks.